The truth is: A website is never “finished.” A site constantly needs tweaks, optimizations, and maintenance. And just like your website, marketing is never truly complete. With the constant evolution of marketing programs and practices, and ever-evolving environmental challenges and opportunities, it’s important to have a platform that adapts with your needs and grows with you. 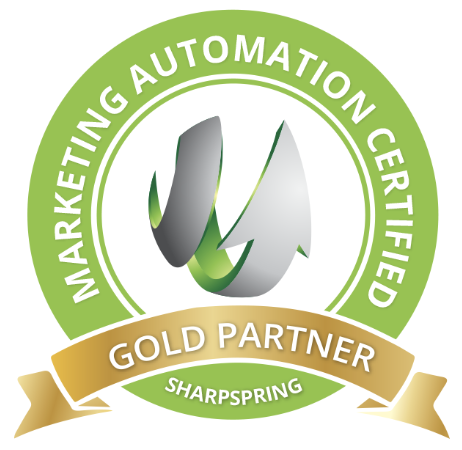 A year ago FirstTracks became Silver Certified with SharpSpring, a powerful and affordable marketing automation solution. The FirstTracks marketing team is helping an array of clients drive more leads, convert for sales, and optimize their marketing efforts with this full-featured platform. We’ve even added an inbound marketing specialist to the team to help maximize results! The FirstTracks team is thrilled by the successes of the past year but focused on the opportunities ahead. Like kids in the candy store, we’re super excited about what’s coming down the pipe. NEW SharpSpring features and functionality are coming soon and we can’t wait to see what another year of powerful marketing automation can do to drive more leads and sales. For more information on the latest SharpSpring updates, keep reading! SharpSpring Releases, COMING SOON . . .
By now, you’ve probably heard about the new GDPR security requirements. While this began in Europe, GDPR has become the internet-wide standard for data protection regulations. If you are unfamiliar with GDPR, it’s worth reading our blog “What You Need to Know for Your E-commerce Website.” With this new set of requirements, SharpSpring has been continuously evolving to ensure compliance. The newest rollout will include GDPR-friendly tools such as tracking consent banners, opt-in forms fields, and general privacy updates. All of these features and more are designed to help you conform to the new regulations as painlessly as possible. If you want to know more about these changes, send us an email and let us know your concerns. SharpSpring is also releasing NEW features to improve functionality and efficiency. If you are familiar with SharpSpring, you may have used their Visual Workflows and the Legacy Builder—and experienced the occasional frustration they can cause. Going forward, SharpSpring will convert tasks and flows created in the Legacy Builder into Visual Workflows. Soon you will be able to export Visual Workflows to PDFs. This will make managing, sharing, and understanding these visuals much simpler. Certainly a no-brainer for those familiar with the system. Along with the new GDPR tools, SharpSpring is constantly improving its existing tools based on user feedback. The latest round of functional improvements include updates to Smart Mail and its functionality, social calendars, meeting scheduling, email, social permissions, and more. SharpSpring also just announced a new set of reports within the CRM and a more thorough “Life of the Lead” segment. For those operating SharpSpring on the regular, these are exciting improvements. We love working with platforms that are constantly evolving and SharpSpring is no exception. SharpSpring takes our user feedback and feature requests and constantly makes the platform stronger and more efficient. SharpSpring is consistently pushing to make its software platform as effective as possible. That means more success for our clients. If you aren’t using a CRM platform, tracking your marketing efforts and ROI can be difficult. It’s important to choose a platform, strategy, and marketing team that will be monitoring and implementing the most current marketing strategies to drive business to you. If all of these terms are leaving you scratching your head, or you have questions on GDPR, SharpSpring, CRMs, or just marketing in general, contact us today!